When your commercial roof isn’t giving you any problems, it may be easy to ignore it, but when issues do arise, they are often big issues. 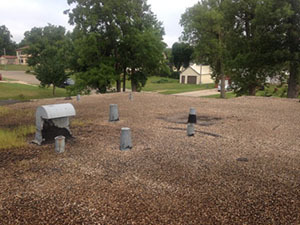 This is why roof maintenance in West Mifflin, PA is such a great idea. It gives you the advantage of preventing these big issues before they ever exist and you don’t even have to think about your roof. We’ll do that for you. At Capital Coating, we provide comprehensive maintenance programs to give you the peace of mind that your roof is being taken care of and to prevent costly repairs. Call us today at (717) 442-0979 to set up your stress-free, worry-free maintenance program. Roof maintenance in West Mifflin, PA can prevent roof replacement. 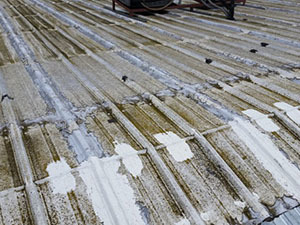 Commercial flat roofs can develop leaks if they are not monitored and inspected regularly. Leaks can quickly destroy your roof, your insulation, and the interior of your building. Roof replacement can interrupt your business operation and dealing with the removal of your old roof can be a pain. Many business owners do not realize that in order to remain in compliance with the guidelines of their current roof warranty, routine inspections are required. Usually, these inspections are only required a couple of times a year but failing to schedule these inspections can mean that your warranty becomes void. This could result in thousands of dollars out-of-pocket if something were to go wrong with your roof. Although your roof may appear to be in excellent condition, only a professional can spot some more difficult, and damaging, issues that typically go unnoticed until it’s too late. It is recommended that you schedule roof maintenance long before you start noticing signs that your roof is needing attention. Our trained technicians have years of experience and have inspected hundreds of roofs. They know how to spot leaks, loose flashing, blisters in the membrane, drainage issues, and many more problems that could easily be prevented. Just as with every other aspect of your business, you should be fully informed as to what is going on. It’s no different with your roof. At Capital Coating, communication is important to us and we will make sure that you know exactly where your roof stands and what your options are for keeping your roof in the best condition that it can be. Don’t be blindsided by unexpected roofing issues. Let us take care of your roof so you don’t have to worry about it. Call us today at (717) 442-0979 to learn about all of our maintenance programs.